WASHINGTON — NASA Administrator Jim Bridenstine signaled his support this week for increased funding for a small agency program that funds the flights of research payloads on commercial suborbital vehicles, balloons and aircraft. The Flight Opportunities program announced Aug. 29 the selection of 15 technology payloads that will be eligible for flights on suborbital vehicles, high-altitude balloons and parabolic aircraft flights. Such vehicle offer exposure to the space environment, including up to several minutes of microgravity, at lower costs than individual spacecraft or experiments on the International Space station. The payloads selected in the latest Flight Opportunities call range from studies of fluid mechanics in microgravity and three-dimensional printing of metallic foams to demonstration of a small reentry capsule and radiation measurements. 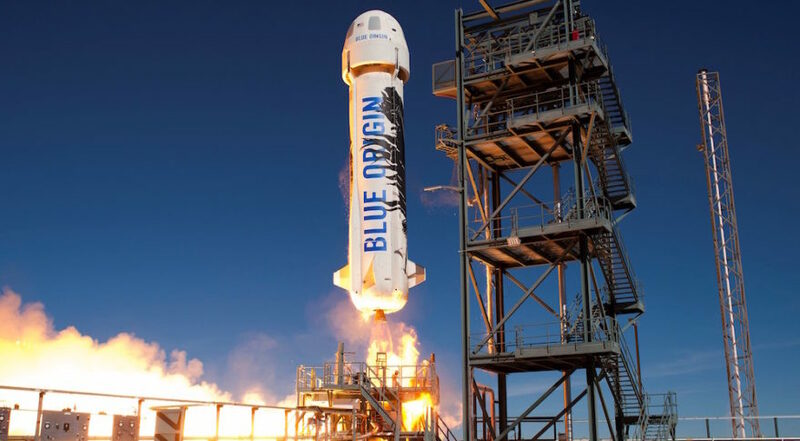 Seven of the payloads will fly on Blue Origin’s New Shepard suborbital vehicle and five on Zero Gravity Corporation’s aircraft, with the other three flying on high-altitude balloons from Near Space Corporation and World View Enterprises. The Flight Opportunities started as a NASA effort nearly a decade ago called Commercial Reusable Suborbital Research, or CRuSR, designed to take advantage of commercial suborbital vehicles under development. The program has, over time, expanded to include commercial microgravity aircraft flights and high-altitude balloons that can provided extended access to the stratosphere. The program has been limited in part by the delayed development of many suborbital vehicles, but also by funding of no more than $15 million a year, restricting the number of payloads it can fly. However, Bridenstine, a supporter of the Flight Opportunities program while a member of the House of Representatives, said he backs increased funding for the program. “By increasing funding for payload integration and flights, we will continue to support and advance the commercial suborbital flight market,” he said in the NASA statement announcing the latest payloads. In a briefing with reporters webcast by NASA Aug. 28 after a visit to the Armstrong Flight Research Center, where the Flight Opportunities program is based, he elaborated on those comments. “I was a big supporter of the Flight Opportunities program before I was NASA administrator,” he said. He noted that, while in the House, he heard that costs of payload integration limited the number of experiments that could be flown. Reports accompanying the House and Senate versions of spending bills for NASA in fiscal year 2019 include $20 million for the Flight Opportunities program. NASA is spending $15 million on Flight Opportunities in fiscal year 2018, according to its operating plan for the year finalized in late July. Bridenstine, though, didn’t indicate if he supported a refocusing of the Flight Opportunities program proposed in the agency’s 2019 budget request. In the request, NASA said that starting in fiscal year 2019 “NASA will prioritize Flight Opportunities to align with NASA’s Exploration Campaign objectives,” which cover technologies needed for future missions to the moon and Mars. The program, currently part of NASA’s Space Technology Mission Directorate, would be moved to a new Exploration Research and Technology program under a proposed reorganization.